Rennes 2 cooperates with partner 9 (EHESP, Rennes) in carrying out the French field work, especially the individual survey (WP 4) and a part of the local case studies (WP 6). It will also be involved in the analysis (WP 8) and the dissemination (WP 9). The members of ESO have large experience with regard to both European comparative research and the topic on educational trajectories and territorial inequalities, school trajectories, practices of child care in different territories, primary and lower secondary school, childhood policies at local and regional levels. ESO has organised an international colloquium on children and youth in everyday spaces. 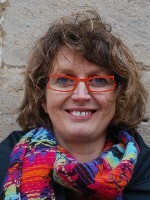 Isabelle Danic, Sociologist lecturer and researcher at University Rennes 2, France.